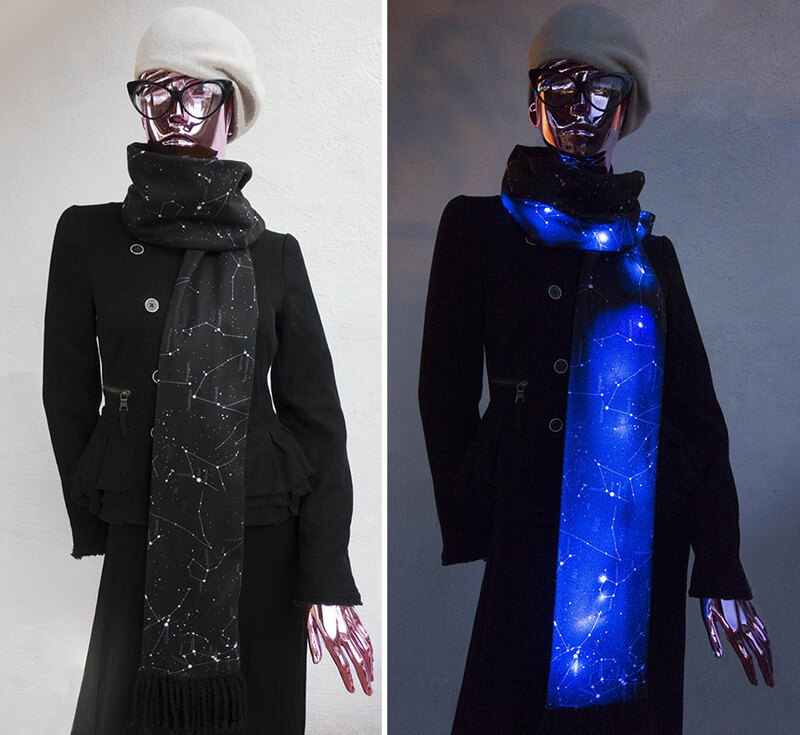 “Cozy up with Space” with this high tech, high visibility, high comfort LED scarf! 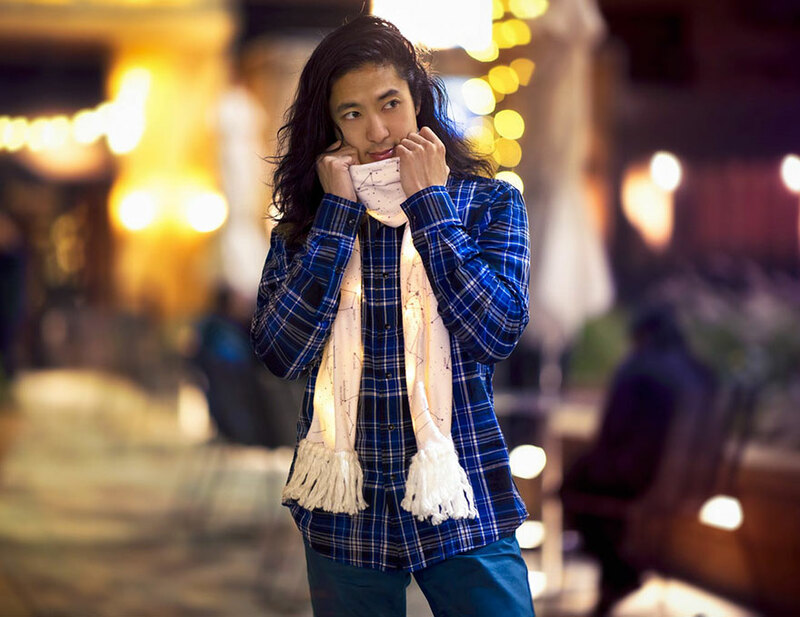 This super soft double layered long 72″ fleece scarf is sure to bring you seasonal joy, while providing warmth and safety while walking at night. 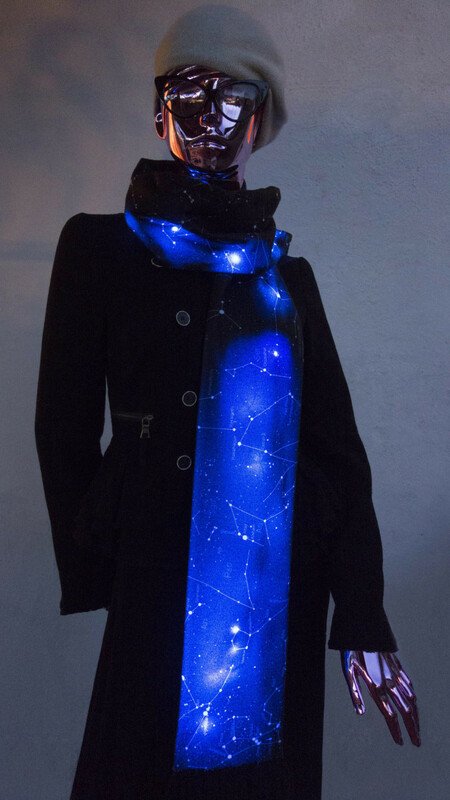 Inside the scarf are bright strings of LEDs to give a dazzling night sky effect. 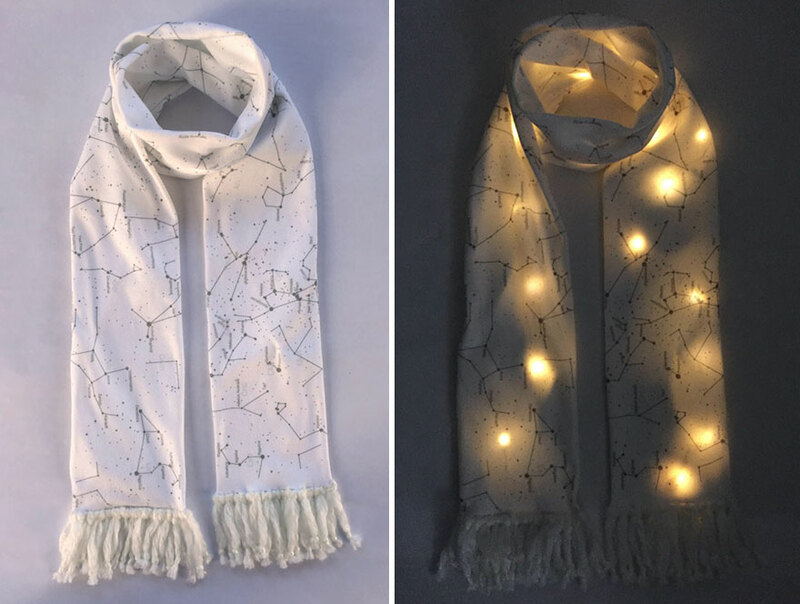 Light strings are removable via a zipper closure for easy washing. 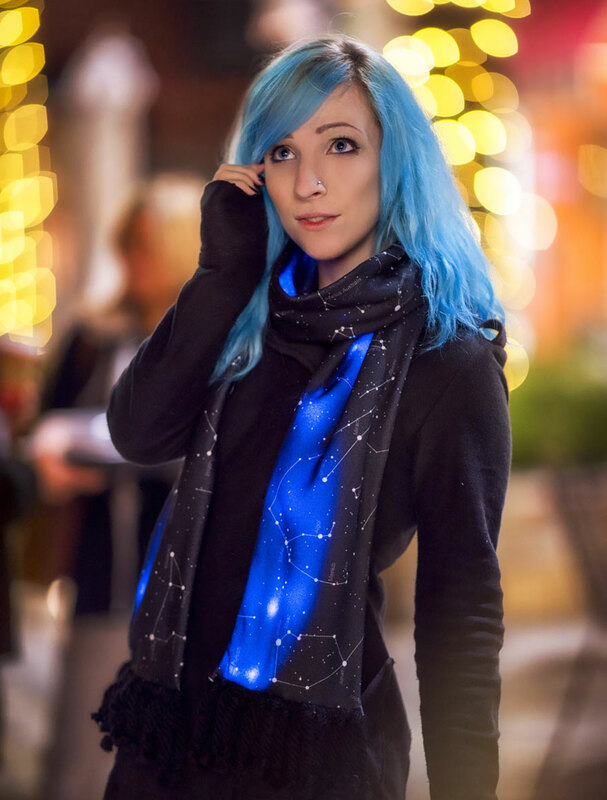 The print features named constellations from a modern star atlas. Amazing “Wearable Tech” conversation starter for dinner parties!